You know you can’t do business without Business Cards. We can print and dispatch yours today! Same Day Delivery & Uber Delivery to Melbourne Metro, and Toll Overnight & Road services to Sydney, Brisbane, Adelaide, Perth, Darwin and other areas. Same Day dispatch not available for laminated or foiled cards* . 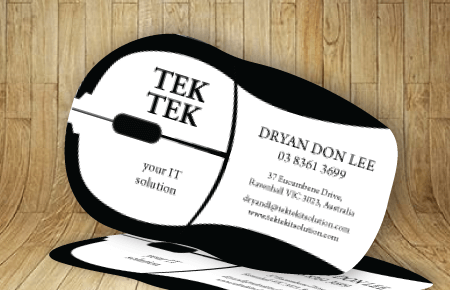 Express business cards with round corners to compliment your design and set yourself apart. 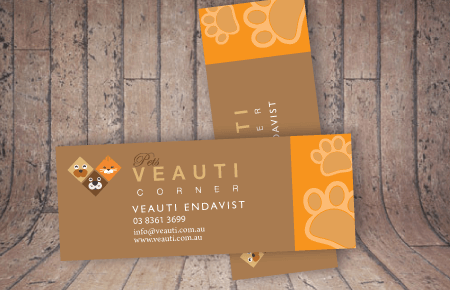 Softer on the eye, with an air of style & refinement, these same day business cards will send the right message. More rustic feeling cards on a natural, earthy brown stock. 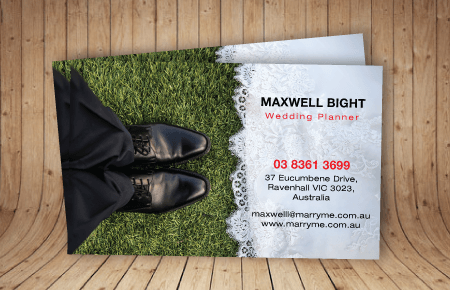 Let our Fast Printing of Kraft Business Cards, with rich blacks, full colour, and white ink print and underlay options, help you look the part. 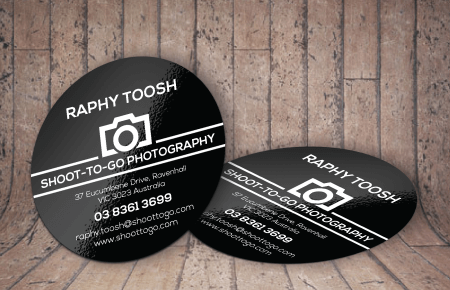 Never-ending happiness prevails with our same day 55x55mm circle business cards. Enjoy a range of premium stock and finishing options. 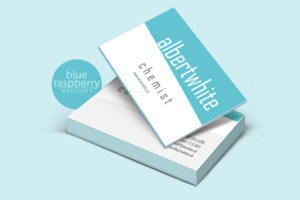 Stand out in the pack with coloured edges & Double, Triple or Quadruple thickness business cards. 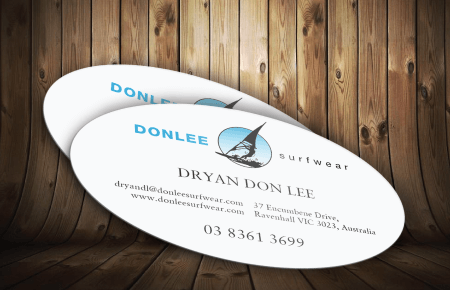 Our same express classic Business Cards, trimmed as small as 35x60mm to ensure their just your style. Rock the boat with premium oval Business Cards, in your choice of premium stock and finishing options. Highlight your logo with this unique business card style that fits perfectly in a wallet, but will stand out in a pile of cards. 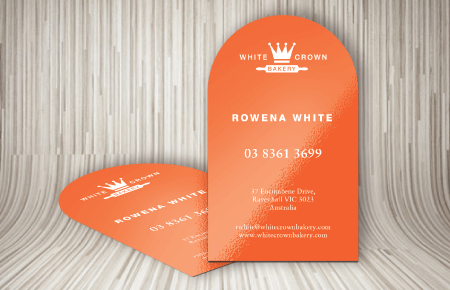 You can use utilise one of our growing number of shapes for printing Same Day. Want something completely unique, we can create new shaped die-cut business cards in 3-5 days* - repeat orders same day! Make a dazzling first impression with eye-catching foil business cards. 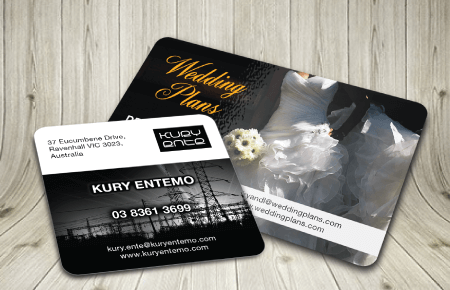 Whether you have an urgent need for same day business card printing, or you just want quality business cards in your hands fast, when you have a last minute business card need, rely on our same day business card printing service for piece of mind that you will receive your cards on time. Super quick Same Day and Next Day Fast printing options. Quality Business Cards in a standard 90x55mm, 90x45mm and 86x54mm format, with a range of premium stock and finishing options available. Vintage or contemporary, utilise round corner square or rectangle cards to compliment your design and set yourself apart. Softer on the eye, with an air of style & refinement. Set yourself apart whilst maintaining a professional feel. Use white, neon pink and neon yellow toners to not only stand out but also to simulate metallic printing, match more brand colors and deliver stunning effects. Add a look of luxury with clear ink on images and create unique patterns for authenticity. 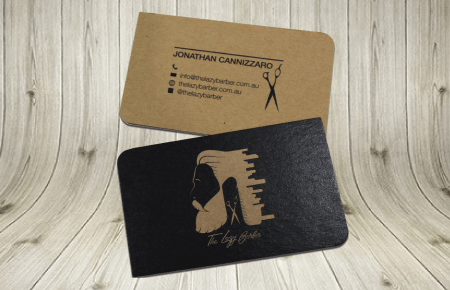 With the widest range of same day and fast business card printing options in Australia, you can trust our friendly and experienced team to get you sharing your contact details fast. Select our high quality matt or gloss coated same day business cards (a favourite with many corporate and small businesses alike) for a professional cost effective solution. Show your love for all things natural or environmental, with uncoated, brown kraft or white recycled business cards. Or exude refinement with a choice of our classic gloss and matt laminate or the new velvet feel laminate and coloured metallic foils. Further differentiate with your choice of die-cut shapes. Cut to any square or rectangle shape up to 90x55mm, select from our 5+ stock shapes or we can produce a new custom die-shape in under 48 hours. Need advice? Our friendly and experienced team are here to help. No design, no worries, we also have fast and quality graphic design services to help you create a professional look so you make the and leave the right impression. Whether you just need standard day to day style business cards to get you out of a jam or your looking to stand out from the crowd with something a little more special like die-cut, laminated and foiled business cards your cards are designed and or printed by experienced and qualified industry professionals with decades of experience using the latest high quality digital printing and finishing processes using the highest quality paper stocks. We’re here to help you take advantage of any last minute opportunities to promote your business with quality printed business cards, even when time is short! Get your Business Cards organised fast. 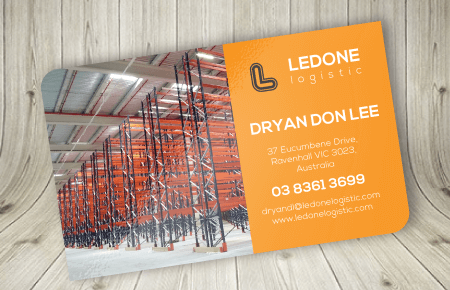 Ensure your business cards are printed quickly and accurately in high resolution on quality stock and dispatched on time with Same Day Printing. Simply let us know your requirements in the business card quote form above, and we’ll be back to you within 2 business hours – usually sooner.